As Proposal 2015-01 stands now, ORV operators, snowmobilers, boaters, lawn mowers, generator users, and others purchasing non road use fuels from gas stations will be in violation of PA 167 of 1933, the Michigan sales tax act. The way PA 167 of 1933 is worded, compliance is primarily the responsibility the fuel retailer. However those who, for whatever reason, escape paying the sales tax become liable for the Michigan use tax under PA 94 of 1937. This includes tourists who trailer in fueled boats from out of state. The ‘Amazon tax’ returns with a vengeance in a new guise. Barring further convoluted legislative action, on October 1st Michigan gas stations will have to collect the 7% sales tax on gasoline and diesel fuel sold for any purpose other than propelling a vehicle “used to operate a motor vehicle on the public roads or highways of this state”. Seems simple enough given the electronic calculation capabilities of most modern gas pumps, right? Just push a button and the sales price increases by 7%. Michigan requires prepayment of sales taxes on fuels at the time of shipment from the refiner or terminal under Public Act 509 of 2012. So Michigan fuel retailers will have to inventory and store at least one additional fuel SKU (stock keeping unit): regular unleaded gasoline upon which 7% sales tax and $ 0.417 per gallon road tax has been prepaid. Really, they should add two SKUs: sales taxed gasoline with and without the road or privilege tax. But no one in Michigan government cares whether taxpayers pay too much tax to mow their lawns or run their generators. The U.S. Energy Information Agency found that Michigan had 3,761 road fuel retailers in 2012. How much does it cost them to install underground tankage and a pump for a new SKU? Estimates range from $ 50,000 to $ 200,000 per additional tank/pump system complying with all applicable fire and environmental regulations. Let’s use the NREL mean estimate of $ 71,735 for a little thought experiment. 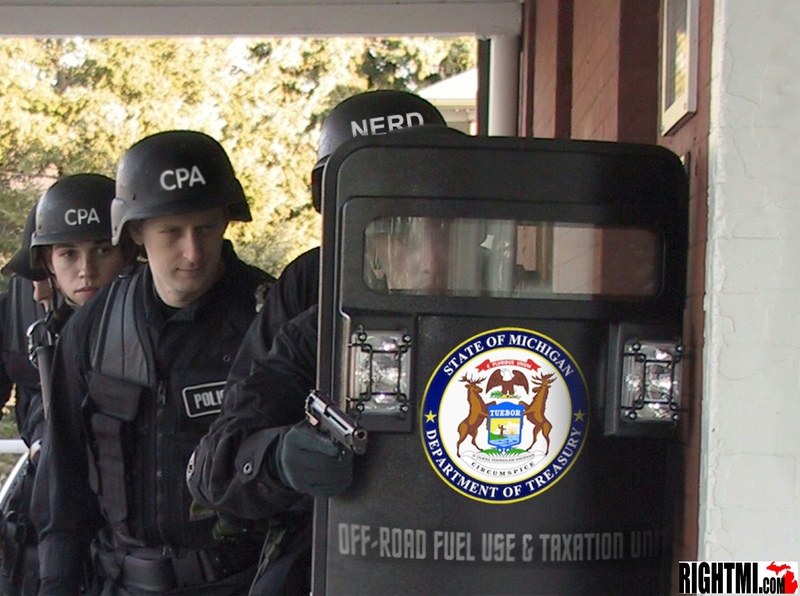 Say every Michigan fuel retailer installs a tank and pump for ORV gasoline subject to the sales tax. They get to spend $ 269.8 million so the State of Michigan can receive $ 32.3 million in annual revenue. Even if only 10% of Michigan fuel retailers install a tank and pump for off-road gasoline subject to the sales tax, the statewide expenditure by those gas stations will be $ 27 million. Government economics writ large. Going further into the weeds, how does Joe Homeowner prove that he paid the sales tax on his lawnmower gasoline? How does Acme Lawn Service prove they paid the sales tax? 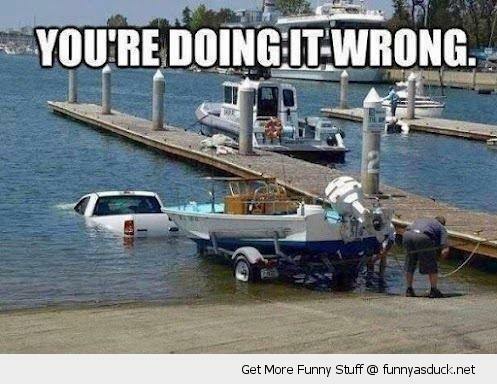 Or the walleye fisherman? Or the water skier? Everyone now gets to keep receipts? Or does regular unleaded gasoline upon which sales tax got paid get dyed? Dyeing proved necessary with off-road diesel fuel to bring a 25% fraud rate under control. Now the reverse problem looms for Michigan gasoline. The Michigan Legislature could forego collecting the sales tax on off-road gasoline, but this would cost a lot more than the $ 32.3 million in escaped revenue due to gasoline purchases from the road fuels distribution network. Marinas would no longer collect sales taxes on the 15 million gallons they sell at very high prices. An exemption for recreational users of off-road gasoline will raise the hackles of all off-road fuel users. We are talking 11% of 4.6 billion gallons’ price annually. 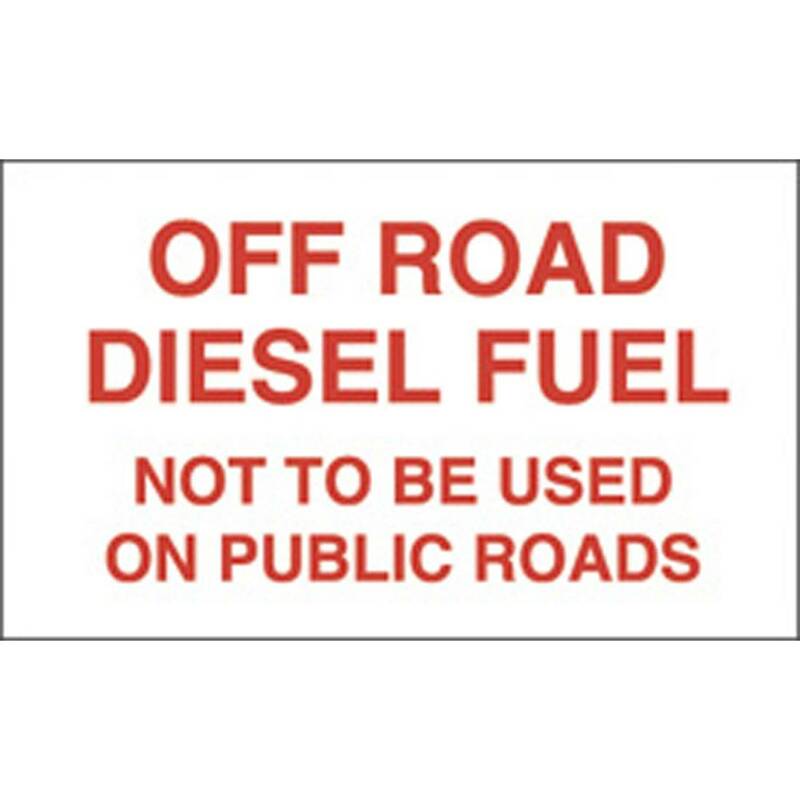 Why should non recreational users pay $ 70 million a year in sales taxes on off-road diesel just because they are easy collection targets? Remember, we are talking large organizations capable of delivering serious campaign contributions. It only took the road constructors to get us Proposal 2015-01. Imagine the political force created when they align with farmers and industry to press a legitimate fairness complaint. Suppose our Legislature does nothing, and screws the large consumers of off-road fuels. How many years until the governmental benefactors of Proposal 2015-01’s $ 700 million in new sales tax revenue burn through this windfall and start casting about for additional revenue? An uncollected, but allowable, sales tax will be an irresistible temptation. The history of government in Michigan does not suggest that any tax will be set below its ceiling for long. So the off-road fuel sales tax will be collected if Proposal 2015-01 passes. It is only a question of when. The Michigan sales taxed version of gasoline for off-road use will be very expensive. Those fuel retailers will have to recoup their $ 70,000 plus capital cost per station. EIA estimates that the entirety of distribution & marketing – including profits – accounts for only $ 0.133 per gallon of road fuel’s price, not nearly enough to cover the capital costs involved in providing a very low volume product. Ever looked at the gas pump price for ‘racing fuel’, a similarly low volume fuel? $ 8.00 to $ 15.00 per gallon in Michigan today. That astronomical price is a result of its low volume, not its cost of production. Racing fuel is your run of the pump unleaded premium, without the expensive 10% ethanol addition, with a small addition of modestly priced tetraethyl lead. The high prices which will be charged for off-road, sales taxed gasoline will spawn every form of cheating imaginable. Fuel retailers will have to interrogate customers filling gas cans. Did you really run your car out of gas? Until sales taxed gasoline is dyed, retailers will be tempted to pump untaxed gas into their sales taxed tankage in the dark of night for an instant 7% profit. Might still happen after dyeing unless there are strict opacity standards. Bear in mind that the special grade of gasoline has to be dyed, otherwise you encourage interstate smuggling of the type so common in tobacco products. Michigan will have to ban or register fuel siphons to keep residents from fueling ORVs from their road vehicle gas tanks. And of course there will be a ‘Michigan Fuel Police’ created to assure collection of the sales tax and suppress a burgeoning black market. Proposal 2015-01 will create absolute pandemonium in the fuel distribution and retailing sector of the Michigan economy. 15% of Michigan’s retail sales. A whole new specialty for police in Michigan. Governor Snyder will rue the day that his team created this monster if it passes. Break out the jack boots fellas, we got us some tourists to bust! Actually, this would also be applicable to aviation in some circumstances as well - there have been people that have STC'd Cessnas and such to run on MOGAS.